The following JG I pilots are being recognized for their actions during Session A4 of Flanders In Flames 2018 "Winter Campaign" (flown on 10 February 2018). Uffz. Attila (Etzel) Reinhard, Jasta 10 (session #A4, 10 February 2018), posthumously, for the destruction of 3 enemy ground targets within one streak. Hptm. Fritz Butzzell, Jasta 11 (session #A4, 10 February 2018), posthumously, for gallantry in battle, but also extraordinary fidelity and essential service. [good streak - 8 ground victories and 2 wounded-in-actions, over 4 sorties.]. OffzSt. Martin Weiss, Jasta 6 (session #A4, 10 February 2018), for gallantry in battle, but also extraordinary fidelity and essential service. [good streak - 1 air victory, 8 ground victories, and 1 wounded-in-action, over 5 sorties.]. Hptm. 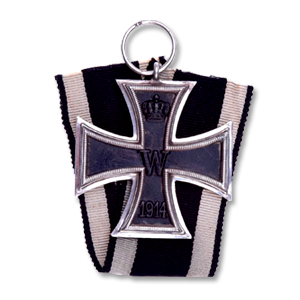 Wilhelm (Wiley) Luftritter, Jasta 4 (session #A4, 10 February 2018), posthumously, for gallantry in battle, but also extraordinary fidelity and essential service. [good streak - 4 air victories, over 4 sorties.]. Sgt. Otto (Jocassee) Heidemann, Jasta 4 (session #A4, 10 February 2018), for gallantry in battle, but also extraordinary fidelity and essential service. [good streak - 1 air victory, 3 ground victories, and 2 wounded-in-actions, over 4 sorties.]. Congratulation guys. Once again I hope there would be fewer case of "posthumously" tags in award section. Congrats and Salute to all. The best reward was the win in phase A, which belongs to everybody! Congrats guys keep in good work. Salut!